When it comes to raising support for a missionary endeavor, there seems to be two main models, the tent maker model and the donor model. I had come from a ministry that operates by a lay missionary model. It is also called a tent maker model. It is a model inspired by Apostle Paul who worked as a tentmaker. It is a model that empowers the laity of the church to engage in ministry. There are good things about the tent maker model and also bad things. The good things are that you are not dependent on anyone else for income. You can go to any city that God calls you. You can always be in a position to give. You are not dependent on the resources of the donor pool. You don’t have to go on frequent church visits to drum up support. You can also enter a country as a worker, countries that are closed to missionaries. You also have a skill that you can fall back on if you find that you are entering into another season of life and ministry and must stop heading up a ministry. In these ways there seems to be a lot of freedom afforded by the tent maker missionary model. There are some downfalls of the lay missionary model however. You may find yourself burning the candle from both ends, doing ministry and working. For 14 years, while heading up a house church, and raising a family, I would get 4-6 hours of sleep a day. They rest of the time was work, Bible study, Bible teaching, mentoring and lots and lots of travel. There was limited time to prepare a message to preach on Sunday. I basically had one shot at it. There was no time to receive constructive criticism and start writing again if needed. It was a one shot deal, then clean it up after Sunday, publish it and move onto the next Bible study and of course to the next shift at work. There was not much room for personal choices or preferences. I was always writing and reading things that I needed to write and read, and not necessarily what I wanted to write and read. Living in this kind of tension was hard, but good for me. It stretched me. God increase my capacity and the scope and breadth of my understanding of the Bible. I grew to be able to write about spiritual things. And so I am thankful for the years of being a lay Gospel worker. But as in all things in God’s creation, God has ushered in the next season of my life. There is a more popular missionary model at work in the western church…the model of the supported missionary or the donor model. I am now coming alongside some missionary families who are operating on a donor model. They are seeking donors to support their mission. Operating under such a model is not a bed of roses. This is an equally as demanding model as the tent maker model. They travel a lot. They give presentations in churches over a distance of 1,500 miles for three years in order to reach their goals. There is a concern about donor fatigue. How many fishing poles can fit into one fishing pond? They also must keep to the agenda that donors agree to give by. 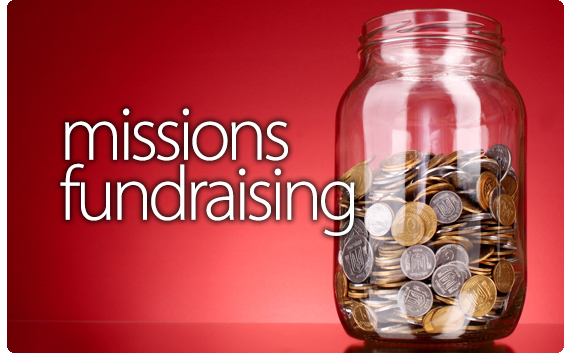 It would be very difficult to change the direction of the mission and still keep all of the donors. In that way there may be less freedom to change course. There is also a temptation to fall into the way of thinking, of always receiving material goods and hesitate in giving. It may also be hard to tell the members of the community you are ministering to, to work for a living, when it appears that the missionaries are not. But, I do see many advantages however. They have more time to engage in ministry. They are giving their presentations to churches, but this is not just asking for donations, it is casting a Gospel vision far and wide. It involves preaching the Gospel wherever they present. It means inspiring others, through their practical, life example, of going to “The ends of the earth” to preach the good news to all creation. Once they reach their salary goals and their first time costs, there must be a great relief in their hearts. But that does not mean that their traveling and their presenting to their far flung group of supporters is over. They will still have to go and nurture those relationships on a regular basis. I believe that God is using both models in his missionary work today. God is increasingly using tent making missionaries. With the growing population comes an equally growing need for missionaries around the world. The only way to reach the numbers of missionaries required is to incorporate tent making missionaries. (Missions Incredible. Christianity Today. By Rob Moll. March 1, 2006.) But there is also an important place for the donor models. Both models need to be developed and supported. There is even room for both types of models on one mission field, as missionaries co-work as a team.